Storage Soup - Page 60 of 218 - A SearchStorage.com blog. Pivot3, the hyper-convergence vendor that concentrates on the surveillance and virtual desktop infrastructure (VDI) markets, picked up $45 million in funding this week to expand sales and marketing of its vStac appliances. Pivot3 CEO Ron Nash said the company will rapidly expand its workforce, which stands at 92 today. He said the goal is to hire 17 people in each of the next two quarters, mostly in sales and marketing with a few developers. He said the company is looking to double its growth rate in the security market this year. Pivot3 began selling what it called “serverless computing” appliances in 2008, moving the application server into the storage node along with Xen hypervisors. That was hyper-convergence, although no one used that term at the time. The original use case was storage for surveillance video, and then the vendor launched VDI appliances in 2011. Pivot3 originally sold software only on appliances, but recently began selling its software separately for customers who want to install it on blades for VDI. The hyper-converged market is taking off, with VMware making a splash with its Virtual SAN (VSAN) software and its large partners such as Dell, Hewlett-Packard, EMC and NetApp who sell VSAN through VMware’s EVO:RAIL program. Dedicated hyper-convergence startups Nutanix, SimpliVity, Scale Computing, Maxta Software and Nimboxx make it a crowded market. Nash said the entrance of VMware and the other large vendors could help Pivot3 by bringing attention to the market. Now it’s up to Pivot3’s expanded sales team to convince people that Pivot3 does hyper-convergence better than the others. “The whole purpose of hyper-convergence is to give you better capabilities and a better price,” he said. New investor Argonaut Private Equity led the round, which included S3 Ventures, InterWest Partners, Mesirow Financial Private Equity and the Wilson Sonsini Goodrich & Rosati. Pivot3 received $12 million in funding last August, and has around $145 million in total funding. Object storage vendor SwiftStack has a new CEO. The company today announced Don Jaworski is taking the helm as co-founder Joe Arnold relinquishes the role but remains president and chief product officer. Jaworski formerly held executive jobs at NetApp, Brocade, Engine Yard, BlueCoat (formerly CacheFlow.inc. ), Nokia Internet Communications, Ipsilon Networks and Sun Microsystems, which was acquired by Oracle. SwiftStack offers an OpenStack-based object storage service based on the Swift object storage platform and software defined storage controller. It recently raised $16 million in a series B funding round, bringing its total investment to $23.6 million. Jaworski said the company has “50 or greater” customers and a growing number of developers building applications based on its API. Jaworski said that SwiftStack’s customers include those who are experiencing rapid growth of data and want to “leverage deeper content” particularly with Web applications that go after mobile adoption. Customers also are focused on running IT as a service. End point backup specialist Druva has come up with a data protection privacy framework for customers who use its inSync software in the cloud. Druva CEO Jaspreet Singh said 70 percent of new customers choose a cloud option for deployment. With customers around the world using Druva’s managed clouds, the vendor is taking steps to address geo-specific privacy concerns. Druva-supported regions include Germany, Japan and Australia as well as the United States, and those areas all have different security and regulation rules. Druva’s privacy framework includes support for 11 global regions with policies that ensure data meets local requirements. Druva also stores unique block data separated from metadata with a unique envelope key encryption model to prevent third-party access to corporate data. InSync allows organizations to identify officers who may handle sensitive material, and prevents that data from being visible to others in the organization. It also tracks all data access and file sharing with audit logs. The software also sets adaptive administrator roles, allowing a defined legal administrator to override privacy controls to enforce data governance. Another step for privacy and security is that Druva maintains customer data in its private cloud rather than in a public cloud. “We struggle with the perception of the public cloud,” Singh said. This name change will take a long time to become second nature for many in the storage industry. So, why change the names? Changes of product names occur more often than you might expect, and with greater frequency in some companies. There are common reasons for change. The first one is to reposition or re-launch a product or family. This can be effective in gaining attention and establishing a new direction for a product. The other is due to a change in the leadership of marketing. Some marketing leaders have a desire to establish a new order for their tenure and changing product names is often part of the makeover. But, this rebranding by IBM is different. IBM has always had a collection of software and hardware storage products that have been developed independently, either internally or through acquired companies. The products typically served different purposes, although there have been overlaps. IBM famously had different organizations and sales for the different product areas, which made the products seem uncoordinated to their customers. This re-branding is about moving to a coordinated portfolio of storage products. This change could be an important inflection point for IBM in storage. Managing a portfolio of products that can be incorporated into a set of integrated solutions for customers can lead to greater efficiencies in delivery. Currently the portfolio does not include all of the high value offerings from IBM. Many customers have put their trust in IBM and purchased storage products that are integral to their business operations. Those customers expect IBM to continue to provide solutions to them and movement to an inclusive portfolio approach will be watched closely. I think re-training to use new names will be difficult and frustrating. It will take time and require periodic referring to the decoder ring. But, it could be worth that if it really is a movement to a portfolio approach. The change in focus to having products to apply as a solution rather than independent software or hardware products can be positive for IBM. It is a major undertaking requiring changes at every level and with every message. It is a challenge. A rocky quarter with a disappointing forecast for this quarter left NetApp CEO Tom Georgens defensive about his company’s product portfolio and strategy. NetApp Wednesday reported $1.55 billion in revenue, down four percent from last year and well below its previous forecast. Its forecast for this quarter of between $1.55 billion and $1.65 billion was also less than the analyst’s consensus expectation of $1.69 billion. NetApp’s revenues have decreased year-over-year for five straight quarters. It would have to hit the high end of its guidance this quarter to match its revenue for the same quarter last year. Georgens opened the earnings call with analysts by saying, “We are clearly disappointed.” Later, he added, “probably a little bit more than disappointed. Probably I’m downright angry … we need to do better than that.” He vowed to make the necessary investments to fix NetApp’s sales execution problems, which he insists are problems with the business model and not product-related. Despite Georgens’ insistence that NetApp’s products are good enough to win deals, analysts on the earnings call questioned if the vendor’s portfolio is broad enough and raised issues with its around flash and cloud storage strategies. An analyst asked if NetApp’s slowness to bring its all-flash FlashRay appliance to market is limiting its flash adoption. FlashRay is currently in limited release with a one-controller model. Georgens said the vendor is selling plenty of flash in its EF Series and FAS arrays. Another analyst asked if customers may be holding off on large deals because they are evaluating NetApp’s Cloud OnTap – a software-only version of Ontap designed for public clouds. Georgens was also asked if NetApp needs to acquire companies to broaden its product portfolio. He said he would continue to pursue “tuck-in” acquisitions such as the SteelStore cloud backup appliance move it made in October, but larger deals are harder to predict and plan for. Georgens defended NetApp’s acquisition record, saying the E Series and OnCommand Insight software are selling well. In recent quarters, NetApp revenue took a hit from a drop in OEM sales mainly because IBM ended its partnership to sell E Series storage. But last quarter, NetApp’s branded revenue also fell two percent year-over-year. NetApp’s declines compare to rival EMC’s three percent growth in storage revenue, which also came in below expectations. Georgens said he noticed normal spending patterns in late 2014 – the fourth calendar quarter is the most active for storage sales – but things changed in January. “Certainly we saw bullishness going into the end of the year and then still we had expectations of a relatively strong normal quarter end in January, and a fair amount of that business didn’t come through the way we would have thought,” he said. The poor numbers brought a series of downgrades and price share reductions from financial analysts. Hitachi Data Systems (HDS) acquired data analytics software vendor Pentaho this week, and it will share that technology across Hitachi as part of an initative that stretches beyond storage. Pentaho sells an open source-based business analytics platform with comprehensive query and reporting capabilities. HDS already had an OEM deal with Pentaho, but had not yet integrated the data analytics into any of its products. The deal is expected to close in June. Pentaho will then operate as an independent company as part of HDS. The 300-person Pentaho team, including CEO Quentin Gallivan, is expected to join HDS. Pentaho will become part of Hitachi’s Social Innovation business. If you’re wondering what that is, it is Hitachi’s strategy for storing and using data from connected machines and sensors – what is known as the Internet of Things. The Social Innovation theme runs through Hitachi, although HDS is managing the big data part because the Internet of Things comprises vast amounts of unstructured data. “This is an HDS acquisition, but Hitachi’s executive team expects that we will bring Pentaho’s capabilities into other [Hitachi] groups,” said Kevin Eggleston, HDS senior vice president, Social Innovation and Global Industries. Eggleston said the acquisition is part of Hitachi’s plan to compete with conglomerates General Electronics and Siemens as well as traditional technology companies. HDS did not disclose the purchase price but industry sources put it at around $500 million. Appropriately, Symantec will call its new information management spinout Veritas Technologies Corp. The company will consist of many products from the original Veritas, which Symantec acquired in 2005. Let me say that I think the spinout is a great move. 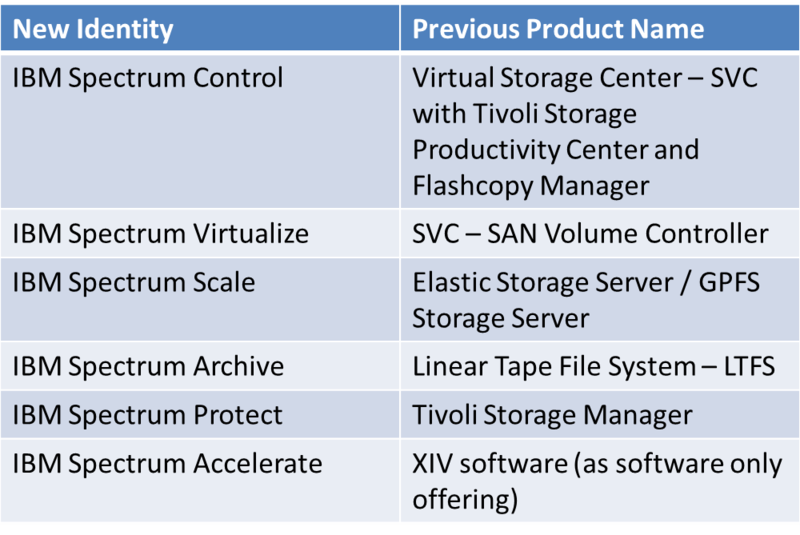 The storage management software products that are the foundation of the new company are different from Symantec’s security offerings. The focus of Veritas will be on the management of storage and information. The tangential (but related) areas will no longer be distraction. And as a public company, the valuation will be on the storage management products. This should benefit the future of Veritas and the products. For a company to be successful over the long term, it must invest in research and development. There is no way to have long-term success by using the “saving your way to profitability” approach some executives take by cutting development and staff when their stock is pressured. These actions destroy a company’s future. With the new focus on the Veritas products and business, the company can make the necessary investments to improve its products to continue and increase revenue streams. Also, it can produce extensions of those software technologies with new market opportunities. New products can also come over time. It is easy to look back on the Symantec acquisition of Veritas and say that it was a bad move. Many did say that, including some within the company and independent analysts. From our perspective at Evaluator Group, we were skeptical of the acquisition because the people who make decisions and purchases in organizations are different for security and storage management. That meant there was little credit given for a company that acquired another set of technology products. If anything, it led to concern of long-term viability. The Symantec-Veritas history should serve as a lesson for others wanting to merge companies with dissimilar products (the positive phrase is “complementary solutions”) where there is no real synergy in sales and marketing and the customer purchasers are different. There will be a number of “I told you so’s” but that is not productive. What is important is that the new Veritas focuses on making the right moves to be successful. Now Veritas can rise again as a storage management software company. There continues to be great opportunity for an independent company. The company will need talented people, agile management, and a corporate vision that can be clearly articulated. This will be great study of corporate dynamics and evolution. Arcserve this week formally launched the integrated appliances the vendor first disclosed last November. The Arcserve UDP 7000 Appliance runs Arcserve UDP data protection software for physical and virtual environments. The SMB line of appliances includes five models in 3 TB, 6 TB and 9 TB native capacity options, which should provide 8 TB, 17 TB and 26 TB of backup capacity with deduplication. The 6 TB and 9 TB models also include versions with three virtual standby machines to help recover from a server outage. UDP software protects VMware and Microsoft Hyper-V hypervisors, and handles deduplication, encryption, compression and replication over the WAN. List price ranges from $8,495 for the 3 TB 7100 model to $21,560 for the 9 TB 7300V with virtual standby. The systems will be generally available in March. Arcserve spun out of CA Technologies last July, a few months after releasing UDP software. He said Arcserve will eventually add larger appliances that compete with Veritas NetBackup appliances. Crest said the appliances come from an OEM partner but were designed by Arcserve to work with UDP.